Clyfford Still, PH-663, 1934. Oil on window shade, 11 1/2 x 9 1/8 inches (29.2 x 23.1 cm). Clyfford Still Museum, Denver, CO.
Jacobs, Dan, ed. Clyff Notes: A Lifetime of Works on Paper. 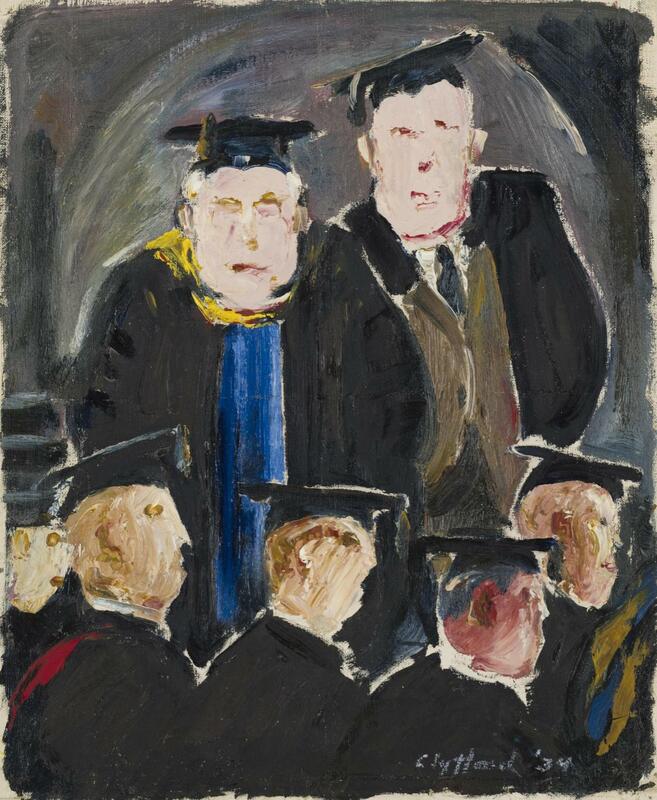 Denver: Clyfford Still Museum and the University of Denver, 2017 [exhibition catalogue].